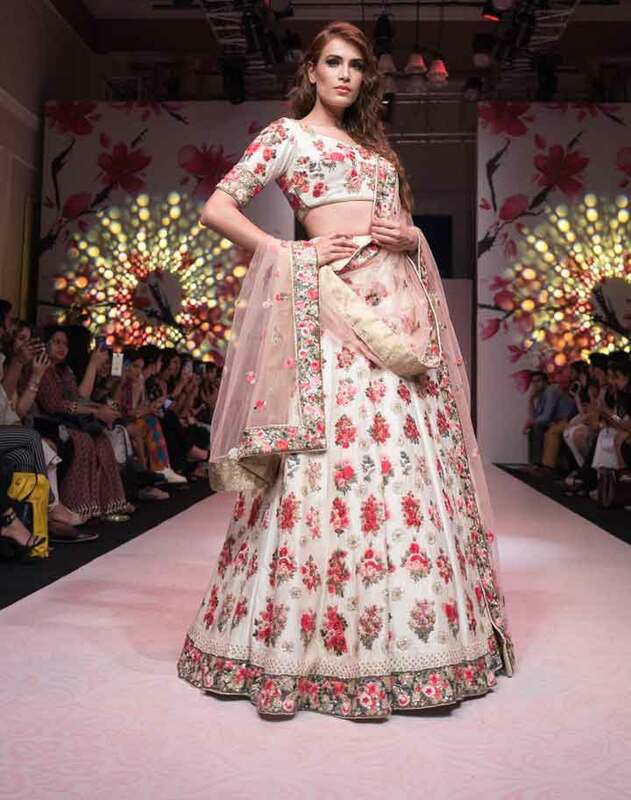 Bollywood diva Karisma Kapoor set the stage on fire as she walked on the ramp for the very first time for a Nepalese Designer PERRIE by Priya Raut at Asian Designer Week summer edition-2018 in New Delhi on April 27, 2018. 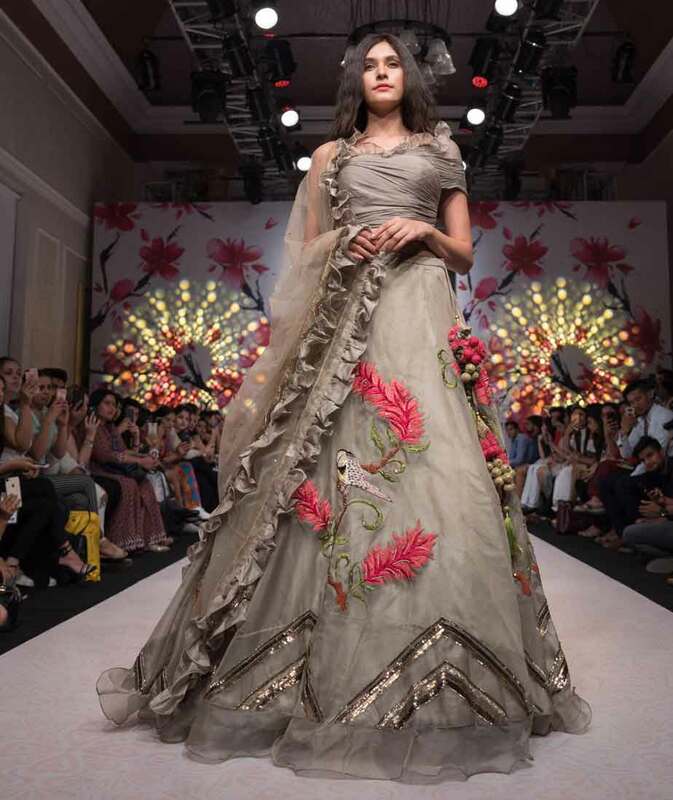 Priya Raut designed the dress with Nepali and Indian fusion on the garments. Specially, Nepal's national flower (Rhododendron) and bird (Lophophorus) reflected our Nepali tradition.